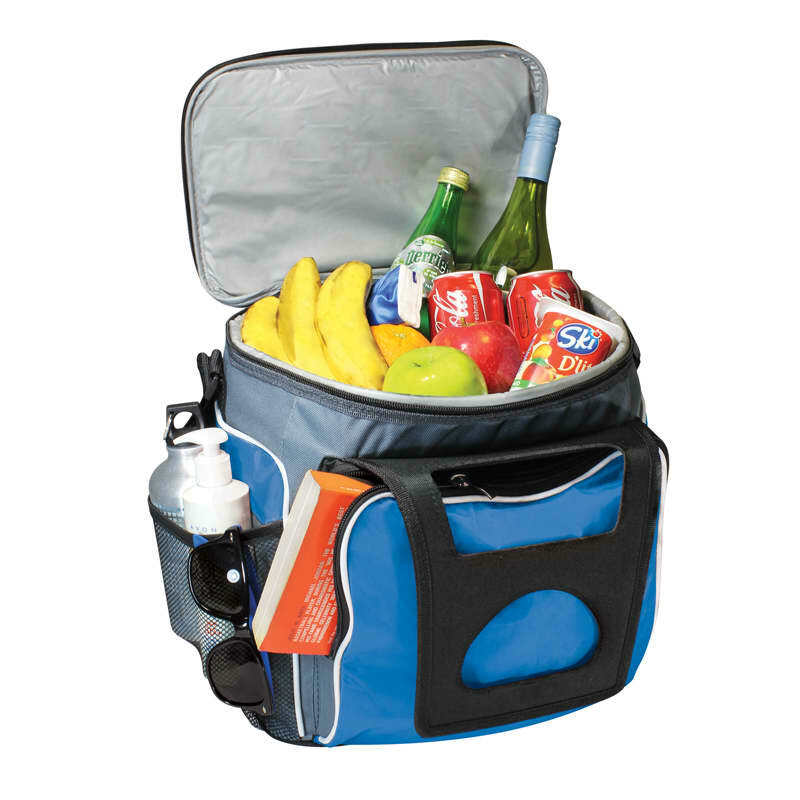 A handy large soft cooler with a whopping 24 can capacity. 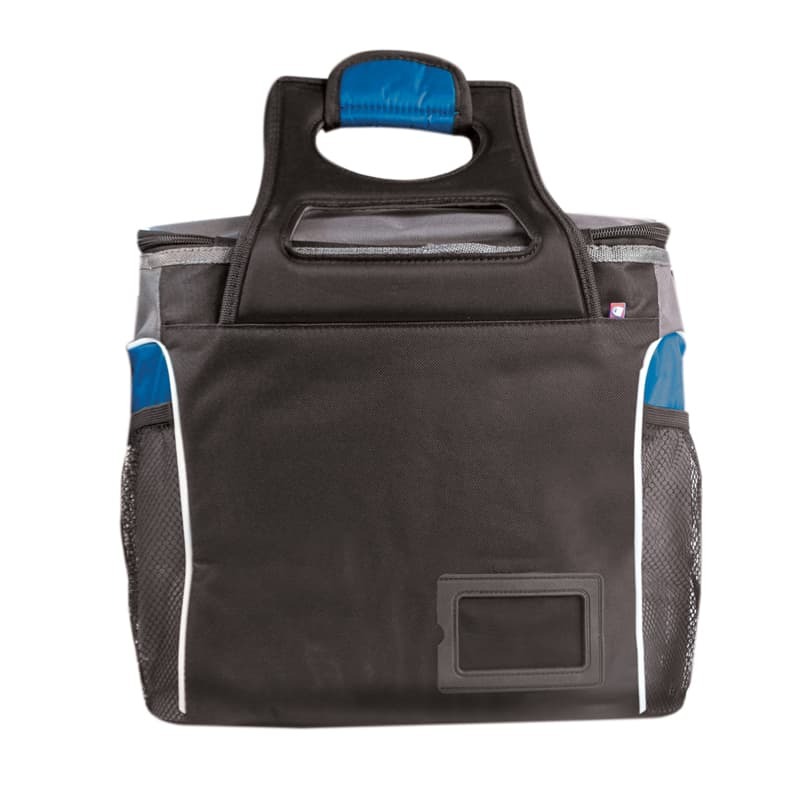 Comes with zip top, front storage pocket and adjustable shoulder strap as well as handy grab handles so its easy to carry. Use it for lunch, picnic with the family, or having a cold one with friends. 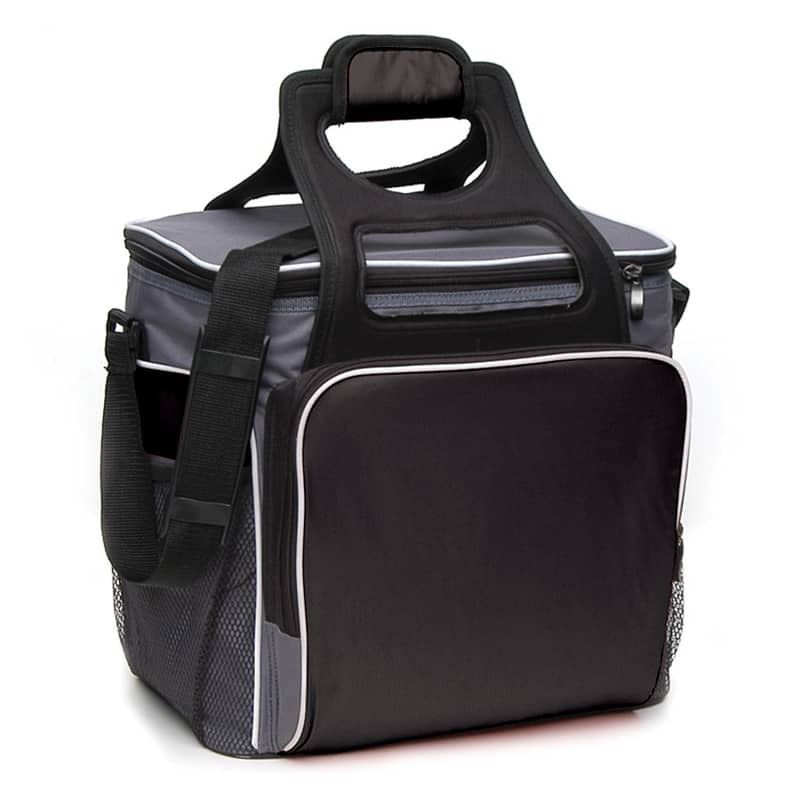 Material: 600D Polyester / 420D Nylon. Heat sealed silver PVC lining. Strong moulded EVA handles with velcro wrap. Can hold 24x 375ml cans. Double zip pullers on main compartment. Two side elastic mesh pockets. Adjustable shoulder strap with rubber shoulder pad.